A one minute collection of shots made using a Canon T3i, and only a Nikkor 1:2.8 24mm Lenses adapted with a Fotodiox PK-EOS Adapter. For some reason, that was the one constraint I held this months montage to, just to see what I could get from it. Music from the Vimeo Music store, artist: Kevin Macleod, Track: Dirt Rhodes. As mentioned elsewhere, I am starting a new project, a Once a Month Montage. I’ve felt the need to get out and be creative, so, inspired by my good friend @anakin1814, I’m beginning to get out and shoot. October was about just pure shooting, and here is the result. A one minute collection of shots made using a Canon T3i, Pentax-M 1:1.4 50mm, Kiron f/4.5 80-200mm, Nikkor 1:2.8 24mm Lenses adapted with a Fotodiox PK-EOS Adapter. Music from the Vimeo Music store, artist: Broke For Free, Track: Only Knows. October 2012 from Brandon Mueller on Vimeo. 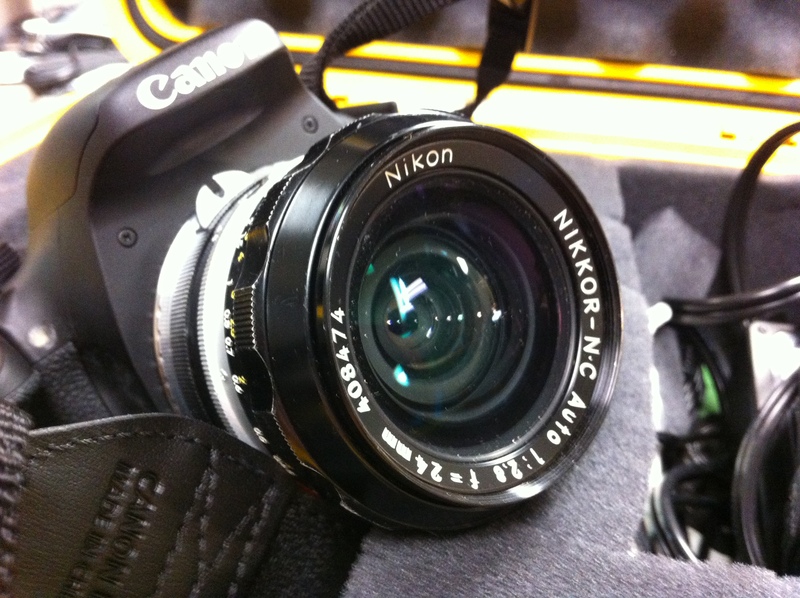 For November, I’m constraining myself to using my old Nikon 24mm lens adapted to a Canon T3i. Stay tuned, more to come!